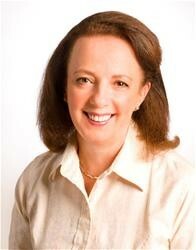 Rosemary is an Accredited Insights Discovery® practitioner and loves using the tool with teams and individuals. She particularly enjoys working with experienced sales teams and seeing the improvements understanding themselves and others can bring to their sales approach. (Her Insights Discovery® Wheel Number is 28 – Inspirer/ Helper). She is a certified business coach and has been coaching since 2003 and is a member of the Association of Coaching. She is passionate about encouraging young talent to enter the industry and gives back through being an Oxford Brookes Baccus mentor, a Woman 1st mentor and a Springboard Ambassador. Nina Lovatt is an experienced facilitator and coach who specialises in Insights Discovery® and Insights Deeper Discovery®. She takes leaders and managers on a journey to develop emotional intelligence and supports them in transferring their learning into practical application within their workplace for improved effectiveness, greater sense of purpose and organisational results. Nina set up HT Training and Coaching with Rosemary in 2008 and continues to have strong links with the company through her continued work as an Associate. Nina has been a trainer and coach for over 13 years creating high impact, collaborative and motivational learning and coaching interventions. Nina creates an environment where people are motivated to tap into their full potential and take ownership for their own development and success. She recognises that profit is driven by people and adopts both a strategic and caring view with clients to develop learning interventions that deliver real business results. 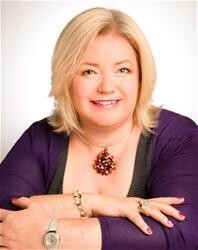 Nina’s coaching is grounded in Humanism and she adopts a Person Centred Approach when coaching Leaders and Managers. She uses a number of different techniques and tools to support learners and these include: The GROW model, Insights Discovery®, Insights Deeper Discovery®, Transactional Analysis, Clean Language and the Experiential Coaching Cycle. Linked to her work with Insights Deeper Discovery® Nina has developed a special interest in The Authentic Leader. Authentic leaders demonstrate a passion for their purpose, practice their values consistently, and lead with their hearts as well as their heads.